Car repossessions and cars that have been repossessed by the bank or other vehicle finance institute are readily available. If you are in the market for a new car you can pick up these bargains. And end up paying a fraction of the vehicle’s market value. If you shop around enough and pick one up through an authorised repo dealer. 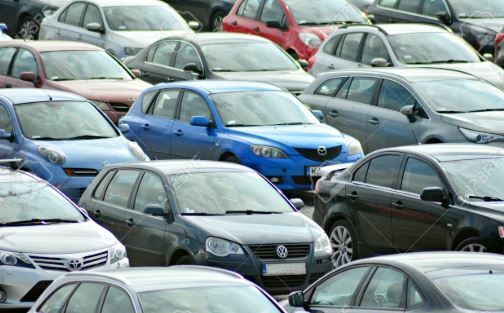 Vehicles that have been repossessed by the bank are usually kept for a holding period. To give the person who got into debt a last chance to pay off the car and get back on track with their bank payments. So they may not be for sale immediately. And only go on auction sometime after the initial repossession date. Financial institutes often make use of dealer auctions to sell off the cars. But some will still go the old fashioned route of public auctions. Be very cautious when purchasing car repossessions. Chances are the maintenance was neglected long before the actual payments became difficult for the previous owner to keep up with. Many of the major banks have whats called a repossession centre and a list of repossessed cars for sale within their networks. The consultants are normally more than happy to assist you in going through the registration process. And helping you find the correct repossessed vehicle to suit your particular needs. You can visit to one of Burchmores car auctions for repossessed vehicles including bakkies, cars and motorcycles. Burchmores also sell vehicles wholesale to the public. And have lists of non-auction vehicles available to be bought at bargain prices. Title is guaranteed and full auction details are supplied to those that join one of the frequent events throughout South Africa. Not only do Burchmores auction off bank repossessed vehicles. But they also offer a service for those looking to sell their car or bakkie. And through the use of a simple online contact form found on the Burchmore’s website private sellers and companies can contact them for more details. Via the website you also have the opportunity to subscribe to their mailing list. Also receive vehicle auction lists for the various events that take place in Johannesburg, Durban, Cape Town and other area’s around South Africa. With the financial climate being what it is today there are unfortunately thousands of people having their vehicles repossessed due to non-payment of their contracts. The banks have no other choice but to re-sell in order to recover some of the money lost. This gives an opportunity for those looking to pick up a car or bakkie at a bargain price. You can visit a vehicle auction company such as Burchmores and bid on auctions for quality repossessions.